As citizens from across the world, we are horrified by the mass death sentence handed down to 528 Egyptian citizens in Minya. By all reports the trial has fallen short of the most basic legal standards. As the highest Muslim leader in Egypt, your moral authority is a powerful force for the future of Egypt. We call on you to formally reject this ruling and save these lives. 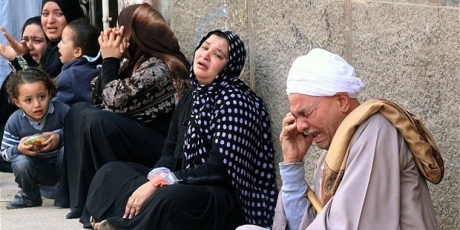 A kangaroo court in Egypt just sentenced 528 people to death. This is likely the biggest mass execution ruling this century, but one man can stop the killings. This was a political show trial -- the military regime is using the firing squad to wipe out the opposition. If the world does not speak up, the consequences for Egypt and the world are beyond dangerous. Sign now to save these lives and stop a spiral of violence -- when one million of us have joined, religious leaders in Egypt will deliver our call for compassion directly to the Mufti.